The Great Smoky Mountains National Park is the most visited of all in the United States. It is unquestionably beautiful with thick forests of evergreens and many different species of deciduous trees, so it is beautiful year around, and especially with fall color. 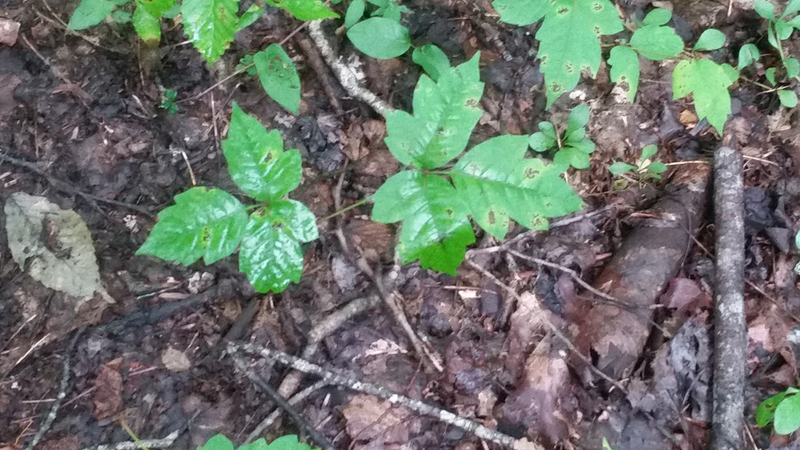 The understory is a myriad of different plants, which bloom at various times of year, even in deep shade. One of our favorite places to enjoy the beautiful Smokies is in Gatlinburg, TN, where we always choose to take a hike with A Walk In The Woods Nature Guide Service, and it is always the highlight of our mountain exploration! You will always remember your wonderful experience with these companionable and friendly experts! Jamie Matzko was our guide this summer. A native of this area of Tennessee, she has loved out-of-doors all her life and is skilled in so many things that made our hike filled with fun and very educational. We learned so much about the trees, vines and bushes, birds, and other wild life around us. She stopped at many plants and told how they could be used medicinally or for food, and she pointed out some which are harmful or poisonous. She guided us along a fairly unknown path, which is not part of the National Park’s developed trails, but it was narrow and clear and a moderate to easy hike along a creek with many varied waterfalls, which were not spectacularly high or rushing, but gentle, beautiful, and melodic. Birdsongs enhanced our walk and Jaimie could identify the winged friends even though some were hidden from view. In 2018 A Walk In The Woods will celebrate two decades of helping people enjoy the Great Smoky Mountains National Park. The numbers they have safely served is approaching 100,000 people. 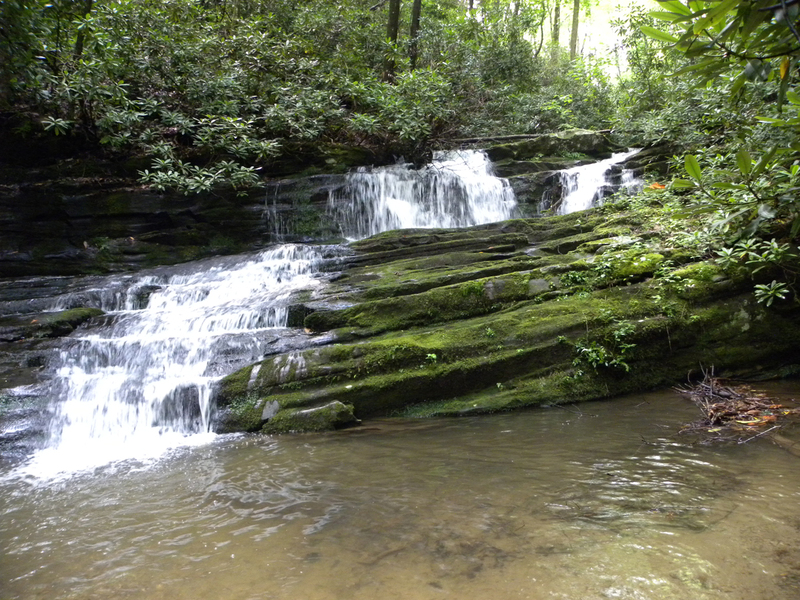 The owners, Vesna and Erik Plakanis have shared their expert knowledge and love of all nature and most especially this wondrous National Park and the thriving undisturbed environment which abounds here in the Gatlinburg area of the Smoky Mountains. 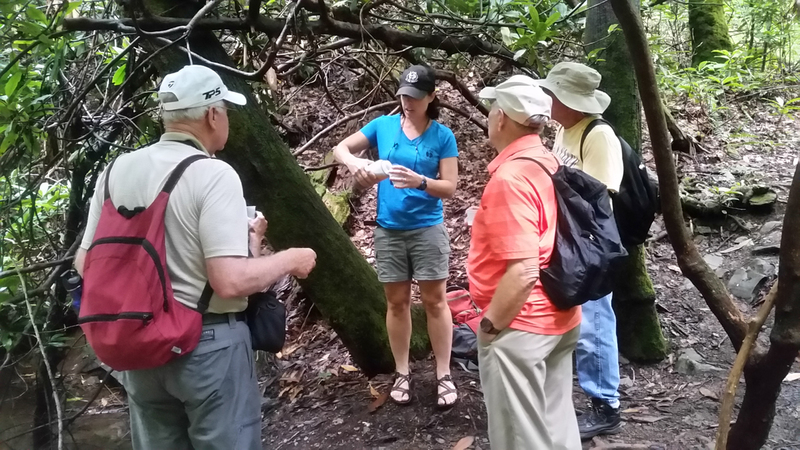 A Walk In The Woods helps individuals or groups enjoy expert interpretive nature walks, guided hikes, birding and salamander treks, hiker shuttle service in and around the Great Smoky Mountains National Park, Appalachian Trail support and climbing Mt. LeConte, trip planning, camping and backpacking equipment rental, guided backpacking trips, classes and seminars. The company was awarded the coveted REI TOP GUIDE Award and many Certificates of Excellence from Trip Advisor. 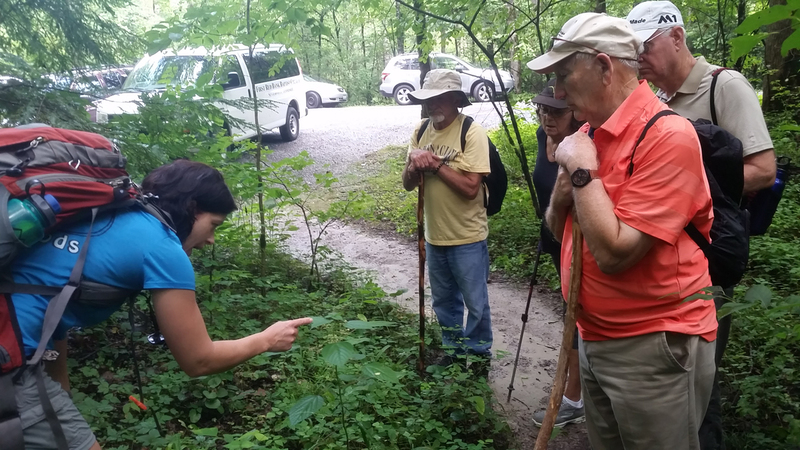 Each of the guides at A Walk in the Woods has various advanced special training as naturalists, scientists, history, Search and Rescue, environmental studies, and much more. They have each had years and hundreds of miles of experience as hikers and trail guides and mountaineering. You can read their impressive expertise and experience in links below. You can select from many focused opportunities to learn about your special interest in the mountains you explore with them, whether it is learning about birds, bears, mushrooms, history, edible plants, geology, plants, animals, waterfalls, insects, protecting the environment, hazards in nature, and so much more. Just ask and they will tailor your hikes to your preferences. A Walk In The Woods deserves its Top and Best guide service reputation and you will always treasure the memory of your time in their care!